As the end of the year approaches, this is your reminder to consider doing a Roth conversion if you own a traditional IRA. A Roth Conversion often makes sense for retirees in the 15% tax bracket (or lower), or self-employed individuals who may experience lower earnings or even a loss in 2013. The strategy is to “top up” the income tax bracket, using all of the potentially unused portion. We recommend you check with your accountant to see if a Roth conversion makes sense for you. Please let us know no later than December 15th if you want to do a Roth conversion. Here are some additional points to keep in mind when converting a portion of a traditional IRA to a Roth IRA. The amount of the conversion counts as ordinary income on your tax return. To get the most benefit from the conversion, it is important to pay the income tax from a separate source instead of having it withheld from the conversion funds. The benefit of a Roth conversion is that the money in the Roth will not be taxed when it is distributed. 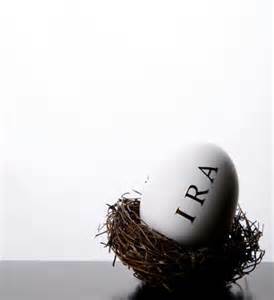 Roth IRAs do not have annual required minimum distributions like traditional IRAs do. For these reasons, Roth IRAs are nicely suited for passing on to children or grandchildren.